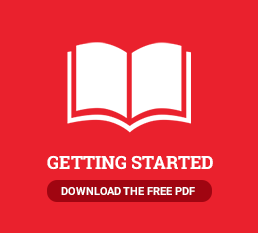 Book Marketing Made Easy - Why do I need a website and/or blog? Simple: because every traditionally published author has one. (And most self-published authors, too.) How can you compete if you don’t? One of the first things a reader, bookstore buyer or media member will do when trying to find you is search for your name on Google—so you need an online platform where they can purchase books, peruse your backstory, and comb through a calendar of events. 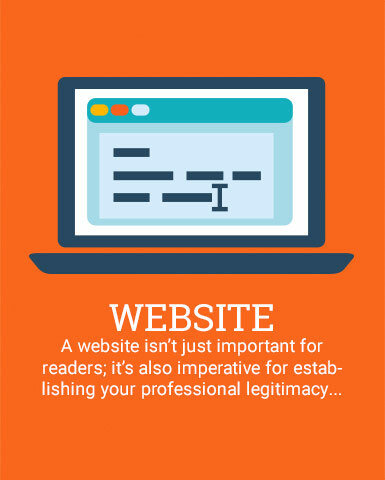 A website isn’t just important for readers; it’s also imperative for establishing your professional legitimacy when booking media appearances, book signings, speaking engagements, and more. And why do you need a blog? You’re an author now! You should be writing. Your new fans will be eager to hear more from you. In addition, regularly releasing content on your new site means you’ll rise higher in searches, continue to curate a fan following, and that those new fans will be more likely to buy your next published work. Social media is important for engagement, but it should act as a complement to your author website, not a substitute. It’s important to have a piece of internet real estate you own. Facebook is the perfect example of a social platform that changes the rules for play often, and you don’t want your entire audience housed on a page you don’t own, in a platform where you can’t guarantee they’ll receive your announcements. Start with a beautiful, professionally designed author website, and ask your fans to sign up for your email updates there!